Iran has a large network of private, public, and state affiliated universities offering degrees in higher education. State-run universities of Iran are under the direct supervision of Iran's Ministry of Science, Research and Technology (for non-medical universities) and Ministry of Health and Medical Education (for medical schools). According to article 3 of the Constitution of the Islamic Republic of Iran, Iran guarantees "free education and physical training for everyone at all levels, and the facilitation and expansion of higher education." An academic library in Basrah depicted in the 13th century by Yahya ibn Vaseti (یحیی بن واسطی), found in the Maqama of Hariri (مقامات حریری). The traditions and heritage of these centers of higher learning were later carried on to schools such as Iran's Nizamiyya, and Baghdad's House of Wisdom, during the Islamic era. In 1855 "The Ministry of Science" was first established, and Ali Gholi Mirza I'tizad al-saltaneh (علیقلی میرزا اعتضاد السلطنه) was appointed Iran's first Minister of Science by Nasereddin Shah. The Ministry of Higher Education, which oversees the operation of all institutes of higher education in Iran, was established in 1967. However, it was back in 1928 that Iran's first university, as we know it today, was proposed by an Iranian physicist, Mahmoud Hessaby. The University of Tehran (or Tehran University) was designed by French architect Andre Godard, and built in 1934. Today, Tehran University is Iran's largest university with over 32,000 students. In the medical field, it was Joseph Cochran who first founded a professional school in Iran in 1878, and who is often credited for founding Iran’s "first contemporary medical college", as well as founding one of Iran's first modern hospitals ("Westminster Hospital") in Urmia. The medical faculty Cochran established at Urmia University was joined by several other Americans, namely Drs. Wright, Homlz, van Nourdon, and Miller. They were all buried in Urmia as their resting place after serving the area for many years. The Shah soon initiated projects to build Iranian universities modeled after American schools. Thus Pahlavi University (Shiraz University today), Sharif University of Technology, and Isfahan University of Technology, three of Iran's top academic universities were all directly modeled on American institutions such as the University of Illinois at Chicago, MIT, and the University of Pennsylvania. The Shah in return was generous in awarding American universities with financial gifts. For example, the University of Southern California received a gift from the Shah in the form of an endowed chair of petroleum engineering, and a million dollar donation was given to the George Washington University to create an Iranian Studies program. The Iranian revolution put an end to the massive US-Iran academic relations. In 1980, a major overhaul in the academia and higher education system of Iran initiated by Ayatollah Khomeini led to what is referred to in Iran as "Iran's Cultural Revolution". However, all universities in the country were closed down from 1980 to 1983. In addition, Islamic curricula and Islamic educational setting were introduced when the universities were reopened. In 2008, Iran had over 3.5 million students enrolled in universities. Some 1.7 million in various programs in Islamic Azad university and the remainder in State universities. In addition the new enrollment numbers for the academic year 2004 were 290 thousand in Azad universities, and 250 thousand in state universities. Iran has 54 state operated universities, and 42 state medical schools. These are primarily the top choice for students in national entrance exams, and have the largest and most prestigious programs. There are 289 major private universities operating as well. In addition there are over 40,000 students engaged in master's programs and 20,000 students in PhD programs. In all these schools, except for private universities such as the Islamic Azad University system, tuition and room and board is mostly paid for by the government. The universities themselves largely operate on state budgets. There are also institutes like Payame Noor University that offer degrees remotely or online. Some schools offer degrees in conjunction with European universities. The International University of Chabahar for example offers programs under the guidance of London School of Economics and Political Science Goldsmiths University of London, and Royal Holloway. Other schools such as the Institute for Advanced Studies in Basic Sciences in Zanjan, have close collaboration with The International Centre for Theoretical Physics in Trieste, Italy for workshops, seminars, and summer schools. The Iranian government also offers intensely competitive but fully paid scholarships for successful applicants to pursue PhD-level studies in several foreign countries, mostly Great Britain. As per the data published on QS World University Rankings official website, Sharif University of Technology, ranked 432, Amirkabir University of Technology, ranked 498, Iran University of Science and Technology, ranked between 601 to 651, University of Tehran, ranked between 701 to 750, Shahid Beheshti University, ranked between 800 to 1000, and Shiraz University, ranked between 800 to 1000, are the top 6 Iranian universities among world-class universities. The Times Higher Education Young University Rankings website has listed the world’s best universities that are aged 50 years or under in 2018. Three Iranian universities are included in the recent Times Higher Education Young University Rankings. Babol Noshirvani University of Technology, ranked 55, Isfahan University of Technology, ranked between 101 and 150, and University of Gilan ranked between 201 and 250, are among the young top universities worldwide. 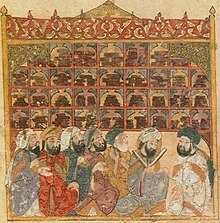 Large libraries existed in Iran both before and after the advent of Islam and throughout many periods in Iran's history, including the libraries at Gondeshapur, School of Nisibis, and Sarouyeh during the pre-Islamic era of Iran. During the Middle Ages, many schools of Nizamiyya harbored large collections of manuscripts and treatises. In Maragheh, Nasīr al-Dīn al-Tūsī built a library that reportedly contained some 40,000 volumes which was well financed and the royal library of the Samanid court in which Avicenna was granted special access to, is yet another fine example. The first prototype of a modern national library in Iran was the Library of Dar al-Funun College established in 1851. In 1899 another library called the Nation's Library was inaugurated in Tehran. Finally, the National Library of Iran was inaugurated in 1937. Under the rule of the Islamic theocracy in Iran since 1979 revolution, the status of science and education has been dramatically affected in the country. In particular, following the so-called Iranian Cultural Revolution and Islamization of universities after a shutdown period, the quality of science and technology required for development dropped significantly but has since been revived, so much so that Iran ranked 40th in science production and first in scientific growth in the world in 2011. Students of some minority religions have been barred from entering tertiary education institutions in Iran, particularly those of the Baha'i Faith. 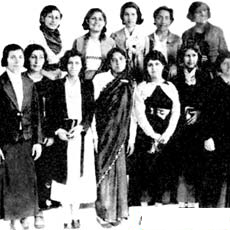 Since the Iranian Revolution of 1979 Baha'i students have been excluded from universities regardless of their national university examination results on basis of their religion. See Bahá'í Institute for Higher Education. Additionally, in August 2012, 36 universities declared that 77 BA and BSc courses in 2012–2012 academic year would be "single gender" and effectively exclusive to men, limiting the options of female undergraduate students. Iran tops the world countries in the brain drain phenomenon. In 2002, the CIA estimated that 77% of Iran's population aged 15 and over can read and write. By 2008, the adult literacy rate had reached 80.6%. A significant majority of this population is at or approaching collegiate levels. Of this population, nearly 150,000 are estimated to exit Iran every year. According to the Iranian government, in 2013, 12,000 foreign students were studying at Iranian universities while 55,686 Iranian students were studying abroad. Out of this number, 8,883 students were studying in Malaysia, 7,341 in the United States, 5,638 in Canada, 3,504 in Germany, 3,364 in Turkey, 3,228 in Britain, and the rest in other countries. But according to a newer estimate by the Minister of education, between 350 and 500 thousand Iranians were studying outside of the country in 2014. The difference remains unexplained. As of 2015, 42% of recent/young graduates were unemployed. ^ "ソムリエの資格はイタリア". Islamic-art.net. Retrieved 8 February 2017. ^ Hassan pour, Faramarz (5 June 2014). "Design of Higher Education Learning Spaces in Iran; From the Qajar Period to the Present Time". Snapshots International Symposium on Learning Spaces, the University of Melbourne. doi:10.13140/2.1.2169.5040. ^ "ARCHIVES OF IRANIAN MEDICINE". ams.ac.ir. Retrieved 8 February 2017. ^ پروفسور ابرلن و نقش او در آموزش پزشکی نوین ایران (Dr. Charles Oberling and his role in Iran's modern medical education). شمس شریعت تربقان. TUMS Publications. 2007. ^ Abrahamian, Ervand (May 1980). "Structural Causes of the Iranian Revolution". MERIP Reports (87): 21–26. JSTOR 3011417. ^ a b "Trends by Region: MIDDLE EAST and Penn's Global Engagement, University of Pennsylvania University Archives". UPenn.edu. Retrieved 8 February 2017. ^ a b c Paola Rivetti (February 2012). "Islamic republic: shaping Iran's politics through the campus". In Rouzbeh Parsi (ed.). Iran: A RevolutIonary RepublIc in TransItIon (Chaillot Papers). Paris: Institute for Security Studies European Union. ISBN 978-92-9198-198-4. Retrieved 27 July 2013. ^ يكتاوب, yektaweb. "موسسه پژوهش و برنامه ریزی آموزش عالی" (PDF). irphe.ir. Retrieved 8 February 2017. ^ "اعزام و بورس دانشجویان". www.msrt.ir (in Persian). Retrieved 2017-09-08. ^ "Medical Science and Research in Iran". ams.ac.ir. Retrieved 8 February 2017. ^ "irantradelaw.com" (PDF). IranTradeLaw.com. Archived from the original (PDF) on 10 March 2013. Retrieved 8 February 2017. ^ "رتبه بندي آموزشي دانشگاه ها و دانشكده هاي علوم پزشكي ايران (3- دانشکده های دندانپزشکی) : سایت پزشکان بدون مرز". Pezeshk.us. Retrieved 8 February 2017. ^ "رتبه بندي آموزشي دانشگاه ها و دانشكده هاي علوم پزشكي ايران (2-دانشكده هاي داروسازي ) : سایت پزشکان بدون مرز". Pezeshk.us. Retrieved 8 February 2017. ^ "Professional Manufacturers & Suppliers from China". MajlisLib.com. Archived from the original on 29 December 2001. Retrieved 8 February 2017. ^ Iran ranks first in scientific growth. PressTV, December 31, 2011. Retrieved January 7, 2012. ^ "New tactic obstructs Baha'i enrollments in Iranian universities - Bahá'í World News Service". Bahai.org. Retrieved 8 February 2017. ^ Tait, Robert (20 August 2012). "Anger as Iran bans women from universities". The Telegraph. Retrieved 21 August 2012. ^ "The World Factbook — Central Intelligence Agency". CIA.gov. Archived from the original on 3 February 2012. Retrieved 8 February 2017. ^ "Iran - Literacy rate". IndexMundi.com. Retrieved 8 February 2017. ^ Harrison, Frances (8 January 2007). "Huge cost of Iranian brain drain". BBC News. Retrieved 8 January 2007. ^ "12,000 foreign students studying at Iranian universities". Payvand.com. Retrieved 8 February 2017. ^ "14,000 foreign students studying in Iran". Payvand.com. Retrieved 8 February 2017. ^ Coughlan, Sean (23 June 2015). "US universities on symbolic visit to Iran". Retrieved 8 February 2017 – via www.BBC.com. ^ "Over 350,000 Iranians studying abroad: Education Minister". Payvand.com. Retrieved 8 February 2017. ^ "PressTV-42% of Iranian graduates jobless". PressTV.com. Retrieved 8 February 2017. This page was last edited on 23 March 2019, at 10:40 (UTC).